Hello there again today! I have some more pretties brought to you by the Born Pretty Store! I've only once ever used nail wraps, and I don't know why I don't every day because these things are awesome! These Elegant Blue Flower Wraps are so nice. 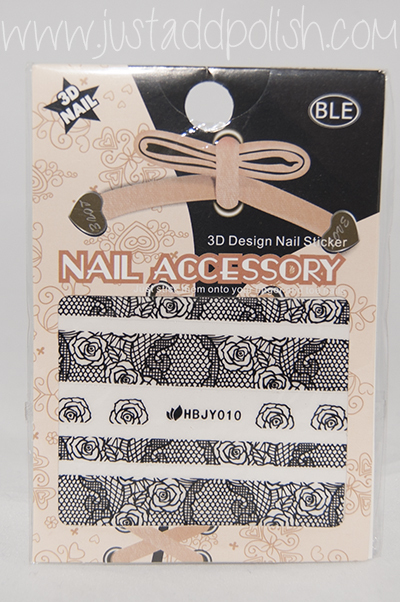 I thought they were the perfect thing for just to pop on and go with a super Cute manicure! So it turns out, the wrap is transparent, and over the white backing is what I fell in love with, so I figured why not some Gelaze White on White to go under it? Gel is QUICKLY becoming my favorite thing, you guys. I think I would love to have more wraps in general, and very much recommend them. So, use my coupon code for the Born Pretty Store if you are also interested in some new super cute wraps! Thanks for reading! 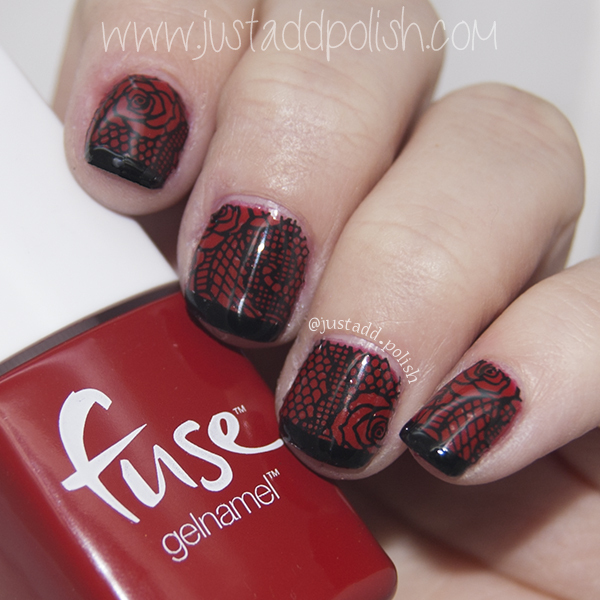 I have some more gels coming up for swatching and art soon, because I can't get enough of them! Born Pretty Store Review. Elegant Blue Flowers wrap sent for honest review. Please see my disclosure policy here. 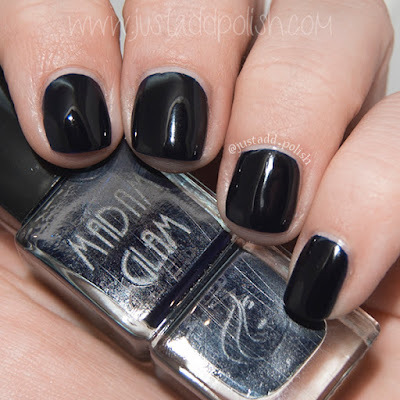 Madam Glam Endless Night is a SUPER dark blue. An endless night, one might say. It looks black. Guys, it's not black! The bottle has a tiiiiny bit of blue going on in it (especially in the middle ridge if you use a color picker tool on your photo edit program haha) The formula is very nice, and one coat is just a but bluer. Still super dark though. This here is 2 coats. Zoya Blu is on the bottom of this one, with Endless Night gradient on top, and why not, an Endless Night stamp using BM 203 . Told you it wasn't black! =D This bottle still shows pretty stinking black, but slightly more blue, yes? Angle of the light hitting the bottle. I couldn't get them quite the same. Aw well. This color seems very versatile. I love that the gradient and stamps are a nice royal blue. Overall, I would love to have more of these polishes.The formula is easy to apply, it stamps super awesome, and is so pretty. 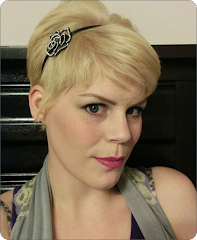 Thanks for reading, and, if you were interested in purchasing any lovely Madam Glam products, don't forget to use my code, jo30, to save 30% off! Click here for the website! Madam Glam Endless Night sent for honest review. Please see my disclosure policy here. Zoya Blu and BM 203 were self purchased. 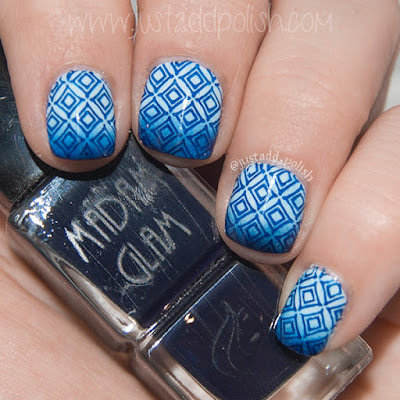 Recently, I acquired a couple of Madam Glam gels polishes! 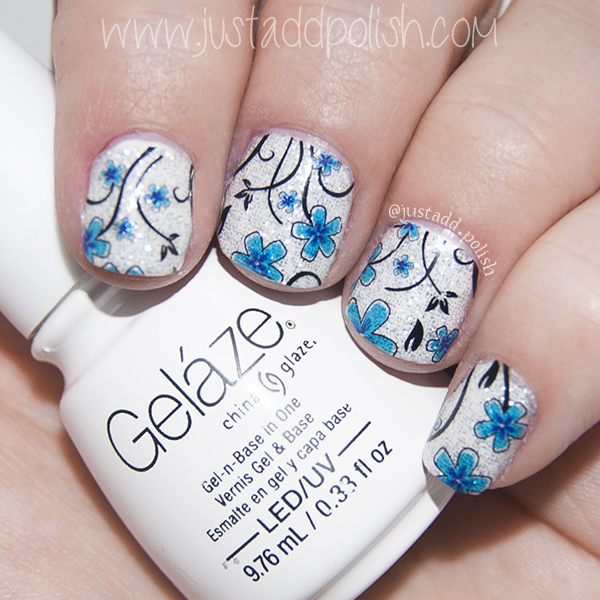 I love gel. Like, so much! I've been wanting to post this review for some time, but I've had 2 exams this past week. Oh boy, school. Madam Glam has a lot of beautiful colors or gel, as well as some ridiculously awesome Chameleon Gels. Yes, a thermal gel! And it works super awesome! My nails are changing color all day long with this stuff! Enough chits, here are pictures! This is Madam Glam Girls Night Out Chameleon Gel. Is this not AMAZING?! I was having so much fun playing with hot and cold temps (lights, cold windows, cold glasses, hot mugs, etc) too see this super fun effect. I Maaaayyyy have very well found my new favorite nail polish EVER with this gel. =D This formula was the absolute perfect consistency. the cuticle line was perfect without really trying. Love. Here is Madam Glam Princess Jasmine Chameleon Gel. The color change on this one is quite a bit more subtle than the other, but it's still so fun! Chunky glitters usually aren't my thing, but let's be fair, they are much more awesome when they change color! This formula was just slightly too thick for my liking. I believe that caused the color change to be more...'splotchy'? But the effect produced is still lovely. 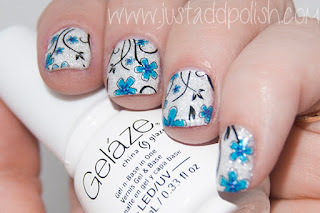 Overall, I think the Chameleon Gels are super awesome! 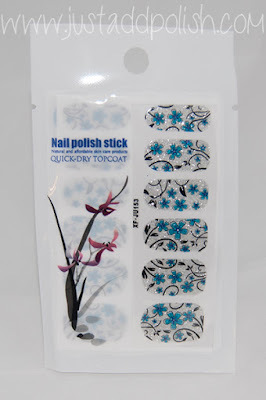 Thermal polish has always been a fun thing to have, but now having thermal gels is even cooler!! Both cured with a rubbery matte finish, so I popped on a nice gel topcoat for ultimate shine and awesomeness. This is just one of their regular, albeit beautiful, gels. Madam Glam Sparkly Autumn is so pretty! I have the hardest time taking photos of shimmer finish polishes, and even more so when they are duochrome! However, I do believe these pictures accurately depict the color morph in different lighting and angles. You'll mostly see the nice purple o the right, but catch your nails in the right angle, and this super cool green, copper, orangey color pops out. I love it. It's on my toes right now! =D This has a clear gel topcoat on it. I have another Madam Glam polish to show you... Next time!! 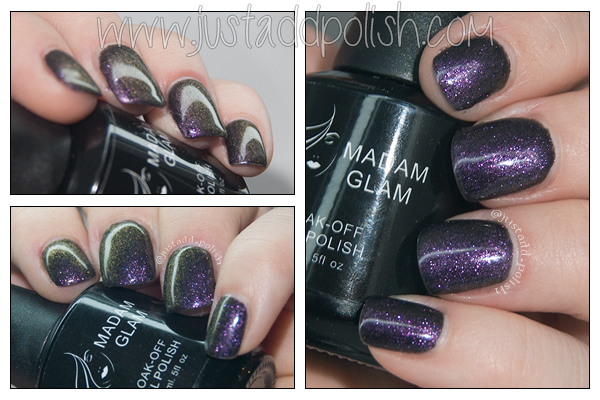 Madam Glam gel polish and Chameleon Gels were sent for honest review. Please see my disclosure policy here.